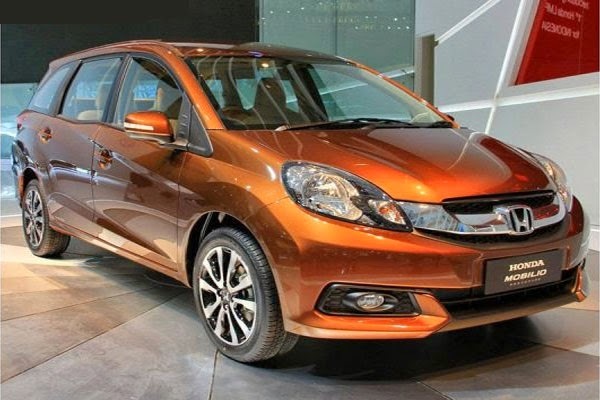 Honda has launched its Mobilio MPV in India today with prices ranging between Rs. 6.49 to Rs. 11.48 lakh Ex-showroom, New Delhi. This is the first MPV from Honda in India since its entry in 1998. The Mobilio MPV is available in both Petrol and Diesel versions. The petrol versions has 3 variants – E,S & V and diesel comes in 4 versions – E, S, V & RS. The top end RS version is available only in diesel version. Powering the petrol version is a 1.5L i-VTEC engine with 100 ps of power. The diesel motor is 1.5L i-DTEC, the same one powering the Honda City, having a power output of 100 Ps as well.